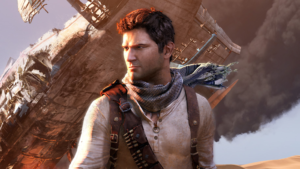 The official Uncharted movie may be stuck in development hell forever, but actor Nathan Fillion and his crew have made their own 15-minute cinematic tribute to the iconic action-adventure franchise. The official film, should it ever come out, will star Tom Holland as a young Nathan Drake. The movie is now reset as a prequel. Kotaku agrees that Fillion’s short fan-film is just about everything you’d want from an Uncharted movie: witty quips, fun twists, esoteric history references, and even a pivot to Video Game Mode for a gun fight. The entire 14.5 minute short can be seen right here. What do you think of it? Does it hit all of the Uncharted nails on the head? Do you want to see a full two hours of this? Or are you more excited for Sony and Naughty Dog’s Official version? Tell Nerdbot in the comments and get the conversation going!